If you’re looking for the perfect indoor/outdoor play places for your kids, look no further than Step2. I don’t know about your little ones, but my three year old is obsessed with any and all play places. Whether it’s at the mall, our community park, or the indoor bounce house, she’s in kiddie heaven and can play for hours. Now, if you’re like me and have multiple little ones, packing up your baby and toddler and making a trip to one of these play destinations can sometimes feel impossible. And if you’re watching the kids alone, it can be nerve-wracking keeping an eye on your energetic toddler while simultaneously breast feeding and changing your baby’s poopy diapers. 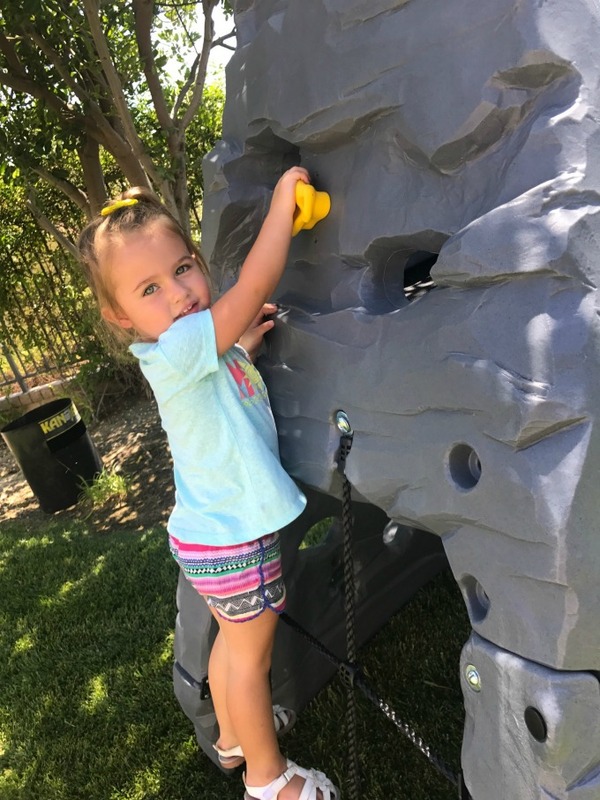 Luckily, for the times you just have to sit these trips out, you can bring these beloved play places home to your toddler, with Step2. They have a variety of kids toys, playhouses, climbers, slides, and swing sets! These play places will keep your toddler busy for hours, while in the comfort and safety of your own home. Not to mention, all the kids in the neighborhood will want to join in on the fun…yay for play dates! Sophie’s favorite Step2 play places are the Hot Wheels Extreme Thrill Coaster and the Skyward Summit Climber. 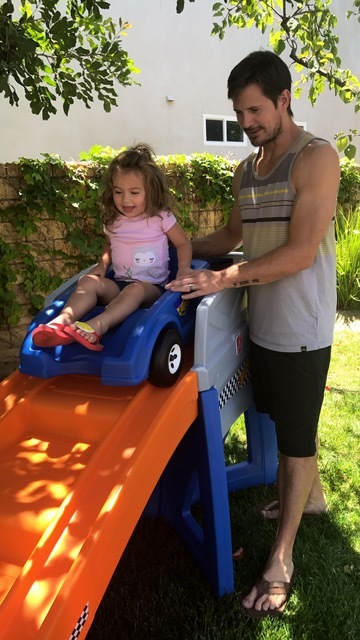 The coaster not only provides her hours of entertainment, but it challenges her to face her fears and build the important skills and confidence she needs to take on the world. 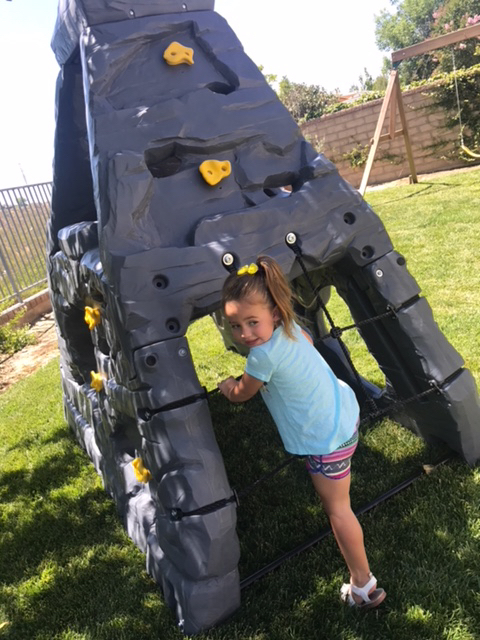 She’s always been a little afraid of heights (as most three year olds are), but her climber has really helped her overcome her fear and build her confidence. She started off climbing just a couple steps at a time, and now she’s totally conquered the mountain and she’s so proud! I’d recommend Step2 place places to everyone. They truly have something for every personality, skill level, and age range. Happy playing!